MANILA – Former Davao City vice mayor Paolo Duterte on Thursday accused Sen. Antonio Trillanes IV of being behind an online video accusing him of receiving payoffs from a drug syndicate. 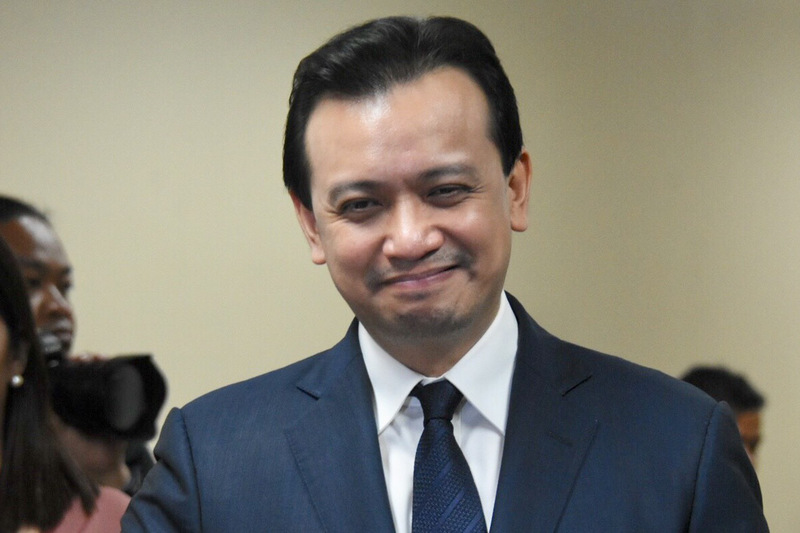 “He may deny it, but the video supposedly showing my involvement in the illegal drug trade in the country has been clearly stamped with the indelible Trillanes signature of being a desperate mercenary, one who has done nothing good but attack the government,” he added. A video uploaded online linked the former vice mayor and Agriculture Assistant Secretary Waldo Carpio to an illegal drug ring. Carpio is a sibling of Manases Carpio, the President's son-in-law and husband of Davao City Mayor Sara Duterte. The video showed a list of "tara" or grease money allegedly deposited into the accounts of drug lords with the code names "POLODELTA-TSG01" and "ALPHA TIERRA-0029." The nearly 7-minute clip's narrator claimed that the bank accounts belonged to Carpio, who allegedly transferred P170 million and P210 million in separate instances last year to Paolo Duterte's purported account under an international bank. Information on the tara supposedly came from a certain "Bikoy,” who claimed he was a member responsible for recording the finances of the drug ring that allegedly operates in Southern Luzon and Visayas. In the video, Bikoy said he personally saw Paolo’s tattoo which supposedly bears the alphanumeric code used by the former vice mayor in his tara. The video narrator then challenged Paolo to show his tattoo once and for all. “Kung gusto niyang pabulaanan ang salaysay na ito, ipakita niya ang likod niya sa camera. Kung wala siyang tattoo, tatahimik na kami,” the narrator said. Trillanes earlier accused the younger Duterte and his brother-in-law Manases Carpio of involvement in drug smuggling. They faced off in a Senate hearing in 2017, where Trillanes asked Duterte to show his tattoo, allegedly of a "colored and dragon-like figure," but the vice mayor refused, invoking his right to privacy. The senator, a long-time critic of the President, said he got the "intelligence information" that the younger Duterte was part of a drug triad from a foreign source he did not name. The former vice mayor has sued Trillanes for libel over the allegations. ABS-CBN News reached out to Trillanes for comment but has yet to receive a response as of posting time. Malacañang has described the video as "a black propaganda intended to besmirch and destroy [President Duterte] and his family." The President's son is running for Representative of Davao City's first district in May's midterm elections.